Dolores celebrates a day at the park. 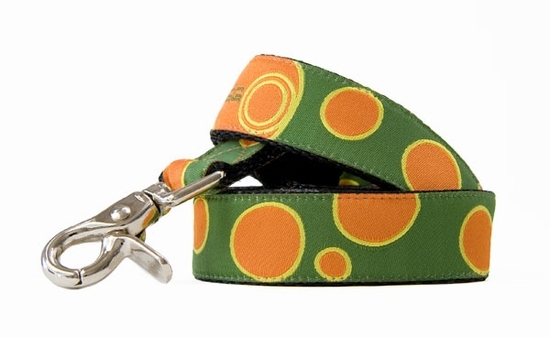 The hip pattern of Orange and Green is sure to turn heads. Made in USA from durable nylon webbing with high quality nickel plated hardware. Machine wash and line dry. Our 1" & 5/8"leashes Feature a handy "D" ring sewn into the handle, to hold a Poo Bag dispenser or your extra house key.